Big Finish: THIS IS COLIN BAKER Review | Warped Factor - Words in the Key of Geek. Tony Fyler finds out who Colin Baker is. Colin Baker’s been in the Who news quite a lot recently, taking what he believes are stands of strong principle, and giving a sense of closure to his time as the Doctor by finally recording an utterly barnstorming regeneration story with Big Finish. This Is Colin Baker has the feel of a biography, written – with all due respect – while it can be. Like a Last Will and Testament, made not with thoughts of particular morbidity in mind, but while the opportunity is there, so it’s done and dusted and something to point at when people ask ‘Well, what did you think about this, that and every other thing under the sun?’ It feels in many ways like the real world equivalent of The Last Adventure, like Baker, who points out several times during the course of this interview that he is now 72, tidying things up, tying them up and filing them, like the good articled clerk he once was, against the potential for mishap or accident. Baker has the reputation among fans of being an avuncular teddy bear, so it’s unlikely that he’ll particularly clam up and become a recluse after this, but were he to decide to do so, with This Is Colin Baker and The Last Adventure on your shelf, he could be justified in feeling he has done his duty by all the curiosity in the world. He takes the reins of the interview from Big Finish heavyweight and Supreme Dalek Nick Briggs early on, and the questioning takes a linear, chronological format, which quickly reveals a possible reason for this need for tidiness – he describes his father as ‘not distant, but very busy,’ and sadly, he worked himself so hard that while not yet fifty, he had a heart attack, followed rapidly by a stroke that stole much of his memory. While he lived for another ten years, he was clearly never the same man after that, and there’s a sense that This Is Colin Baker is Colin’s putting things on record against the possibility of anything similar happening – a gift to the fans, and a reckoning of Baker himself with all the phases of his past. The young Colin Baker comes across as having been swayed by a strong maternal influence, something of a middle-class intellectual in a working-class industrial town (and bearing the scars of such a life), a child bullied by peers for his ‘posh’ voice and his voracious reading habit, who didn’t really settle into school until he found the comic’s contingency – make them laugh before they remember they don’t like you. He caught the acting bug from his mother’s fondness for the likes of Gilbert and Sullivan, but when the opportunity to go to university beckoned, his father vetoed the idea, steering the young Colin into a career in the law. His acquiescence in this appears to have been a fundamental Baker trait throughout his life – a relatively passive acceptance of whatever comes, despite being able to voice his view on things and his preference for an alternative course. However, the shock of his father’s heart attack and stroke at so young an age was a wake-up call for the young articled clerk, and he decided to live the life he wanted to live, never finishing his legal training, but applying instead to drama schools. There’s another telling trait that has apparently dogged Colin Baker through his life, and which comes out on a number of occasions here – when told his failure was a certainty, he became far more determined to prove people wrong. His maths teacher at school bet him a pound he would fail the subject – Baker knuckled down past his admitted ability to do ‘alright’ at subjects easily, and passed. A colleague on the drama series that made his name (The Brothers) bet him five pounds he’d fluff his first, massively complex line, and despite getting it right on every other occasion, the pressure cracked him, and he paid his pal the fiver. Given what happened to the TV incarnation of his Doctor, one has to wonder whether much of his Big Finish brilliance has been Colin Baker refusing to admit that Michael Grade and the other BBC bosses who wanted him out were right, and knuckling down to prove them wrong. To be fair, that would be an uncommonly harsh critique of Baker’s work, because his time as the on-screen Doctor (and the audio Doctor too) he speaks of in very positive tones – it was the only job he ever did where he didn’t feel nervous, the only job where he loved coming in to work every single day, and so on. But inasmuch as there are psychologies at play in all of us, Baker reveals several of his thematic motivations throughout his life. Be warned – this is Colin Baker, this is not the Sixth Doctor. While there’s some time spent discussing Colin’s time on the show, it flits between his time as Maxil, his getting the job and the Trial. If you were looking for insightful opinions on the Doctor’s characters, companions, arc and the like, you’re probably barking up the wrong biography – there’s as much if not more about his time as a lawyer and his early career here as there is of his time in the colourful coat. 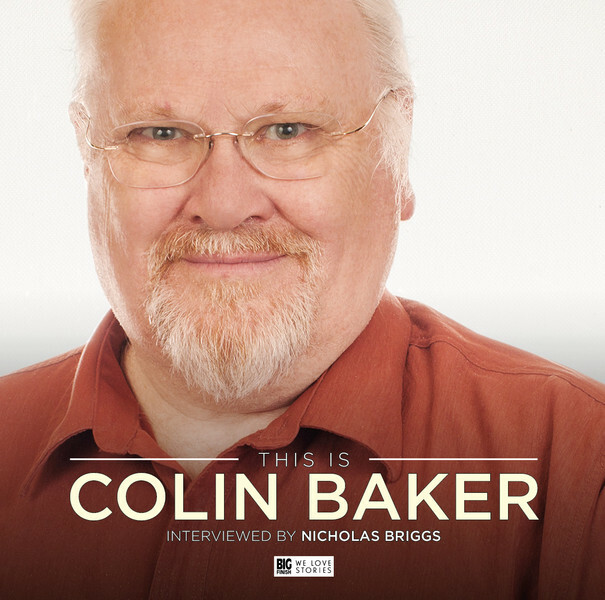 But if it’s Colin Baker the actor and human being you’re interested in, then this will give you a little bit more than the standard David Copperfield stuff – ‘I am born, I grow up’ etc – because once or twice, Briggs gently pushes ideas into the stream of Baker’s occasional certainties. ‘What else could I have done?’ Baker demands when talking about his refusal to say, when sacked, that he was moving to other projects. Briggs pushes him, and for the first apparent time, our Sixth Doctor considers another timeline in which that really could have happened. The strength of Colin Baker as a human being has always been his willingness to challenge ‘the big boys’ whenever he sees what he feels is injustice – a legacy, probably, of his days in the law, when to use his phrase, he ‘saw what they get away with.’ It was also a core strength of his incarnation of the Doctor, that indignation against bullies perhaps stemming all the way back to his childhood. If you were writing the novelization of his life, it would be the supreme irony that his time as the Doctor was dominated by precisely that conflict, with himself in the role of victim as an actor, just as he had been as a child. But the indomitability of Baker, his determination to be good at his job and to serve the character well, has seen him ultimately triumph through his time at Big Finish, proving the value of his Doctor, and proving too that the concerns of the bosses at the time were largely based on their failure of imagination, rather than any failure on his own part. This Is Colin Baker doesn’t set out with any noticeable agenda to prove that point. It’s merely a conclusion you come to, hearing Baker’s personality displayed through his honest, emotionally and intellectually candid vignettes of his childhood, the lessons that made him the man he became, and his stories of his life as it is today. It’s definitely worth taking the time to listen to as a way of rounding out your understanding of Colin Baker’s personality and how it informs everything he does.